Maine neon underglow usage is governed by the state's Code. All relevant laws, rules and regulations pertaining to vehicle lighting including car underglow in Maine have been provided below. Make sure to examine the regulations carefully and do not use any restricted lights. Usage of neon underglow lighting is governed by Maine Revised Statutes, Title 29: Motor Vehicles and Traffic, Chapter 17: Equipment, Subchapter 1: General Provisions. Is neon underglow legal in Maine? Neon underglow is illegal in Maine, and the law concerning it is very specific and restrictive. [...] A vehicle may be equipped with under-vehicle lighting for the purpose of participating in shows, events or other exhibitions, but the lighting may not be used or the vehicle illuminated with under-vehicle lighting on a public way. Car underglow can legally be used for shows or exhibitions, but make sure you never use it while driving. Additionally we don’t recommend using it on public parking lots either, as an over-eager police officer may still be able to give you a citation. Furthermore such underbody lights may only display white or amber on the front, amber on the side, and amber or red in the rear of the car. Lights may not rotate or flash in any way. As defined by law auxiliary lights are in fact additional headlamps and fog lights; Maine however puts undercarriage lights within the same category which may restrict colors to the above. In case you never intend to use car underglow in public you may be able to use any color, but use at your own risk. Below are all relevant excerpts from Maine Vehicle Code that limit, restrict or allow certain aftermarket lights to be installed on vehicles. C. Amber or red if the light is on the rear of the vehicle. 3. Beam. An auxiliary light must emit a steady beam of light and may not blink, oscillate, rotate or flash. 4. Brightness. An auxiliary light may not emit a beam that is brighter than, has a greater candlepower than or distracts from the visibility of standard lighting equipment required by this Title or by the inspection rules adopted by the Chief of the State Police pursuant to section 1769. 5. Operator visibility. An auxiliary light may not be installed in a manner or on the vehicle so that it distracts or impairs the vision of the operator. 6. Under-vehicle lighting. An auxiliary light is under-vehicle lighting if it is a lighting device or lamp, including, but not limited to, a neon or fluorescent tube, installed under the chassis and it is designed to illuminate and reflect from the surface beneath the vehicle. A vehicle may be equipped with under-vehicle lighting for the purpose of participating in shows, events or other exhibitions, but the lighting may not be used or the vehicle illuminated with under-vehicle lighting on a public way. [...] 7. Violation. A person who operates a motor vehicle equipped with, illuminated by, displaying or using an auxiliary light in violation of this section commits a traffic infraction. Our information about car neon underglow laws in Maine was last updated in 2018 and checked in 2019. In case any info we provided is not up to date or correct be sure to contact us so we can revise it. Thank you! Check our data with your local law enforcement or other relevant agencies! Maine underglow laws in certain cities or counties may be different from state legislation. While we do our very best to provide the most accurate information about LED and neon street glow usage we will not be held liable for any potentially incorrect or misinterpreted info. 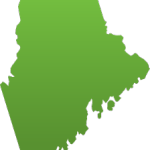 Maine is a state in the New England region of the northeastern United States, bordered by the Atlantic Ocean to the east and south, New Hampshire to the west, the Canadian provinces of Quebec to the northwest and New Brunswick to the northeast. Maine is both the northernmost and easternmost portion of New England. It is known for its scenery—its jagged, mostly rocky coastline, its low, rolling mountains, its heavily forested interior and picturesque waterways—as well as for its seafood cuisine, especially lobsters and clams. Have questions about traffic or neon glow laws in Maine?